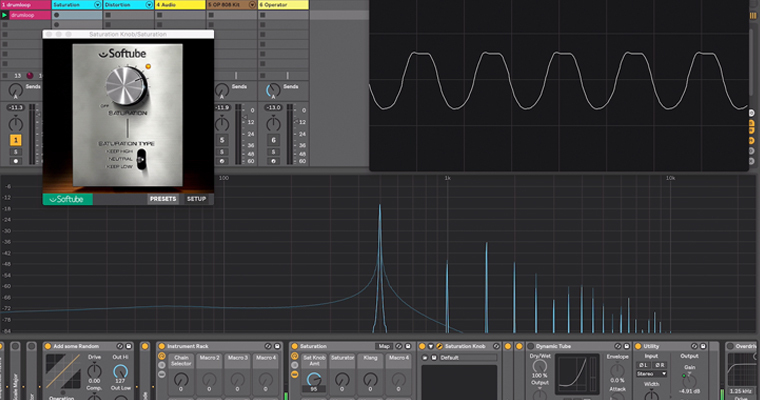 In this course we will go deep in distortion, what it is and it uses in a mix. From subtle saturation, to overdrive and distortion, to digital clipping and obliterating sounds. It’s all covered in this course on Distortion. This classic effect can be used at every level of the mix and sound design process to warm up and add character to sounds, or make them lo-fi and dirty. Distortion is a classic effect, the staple of rock guitar for decades. Proper use and application will give your mix a bigger impact with more attitude and a louder more in-your-face sound. Watch this course to find out how! Make things loud, edgy and in your face. Help sounds cut through a busy sonic landscape. Learn why musicians and engineers working in all genres of music use distortion at all stages of a track. To begin with let’s discuss what distortion is. As per the name, it distorts the signal in a non -linear way. All the various effects that we have from soft saturation through to digital clipping are designed for a similar purpose – to distort the signal, but it’s the degree to which they do this and the shaping that occurs that makes them sound different. At a basic level, distortion affects the peaks of a signal. The first thing this affects is dynamic range. As the signal is driven into the circuit, it will reach a point where it will begin clip. The more the signal is driven, the more clipping occurs and the lower level material gets louder in relation to the peaks. The 2nd thing distortion does is add and emphasise additional harmonics in the sound, colouring the signal, adding character and making it take up more room in the frequency spectrum. As you will see throughout these videos, the way the signal is distorted has a big impact on the outcome. As such, having access to different types of distortion effects is useful as they all have a different character producing a variety of results when working with different types of material. So now that we know what distortion does, lets look at the various flavours and devices that we use to implement it. Starting at the weakest and most subtle lets look at saturation. 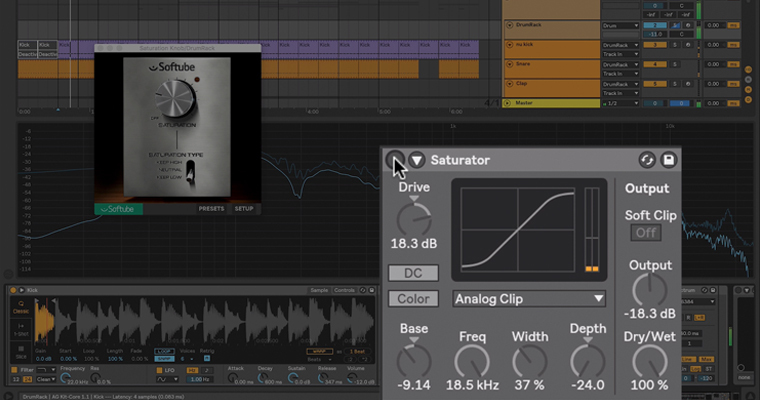 The most common use of saturation is to gently colour the sound, simulating an analog signal path, using tubes or transistors and attempting to add some warmth and character, to simulating analog tape saturation. Next we will look at Overdrive. The terms overdrive, distortion and fuzz are somewhat interchangeable and are often available on the same device but they all have origins in analog circuity. Overdrive tends to be less extreme attempts to simulate overdriving an amplifier. It is smoother, with less edge as adds less high end harmonics than straight up distortion – which clips the signal more and can take things to an extreme, it’s not directly trying to emulate a circuit. In this video we focus on devices that add distortion. 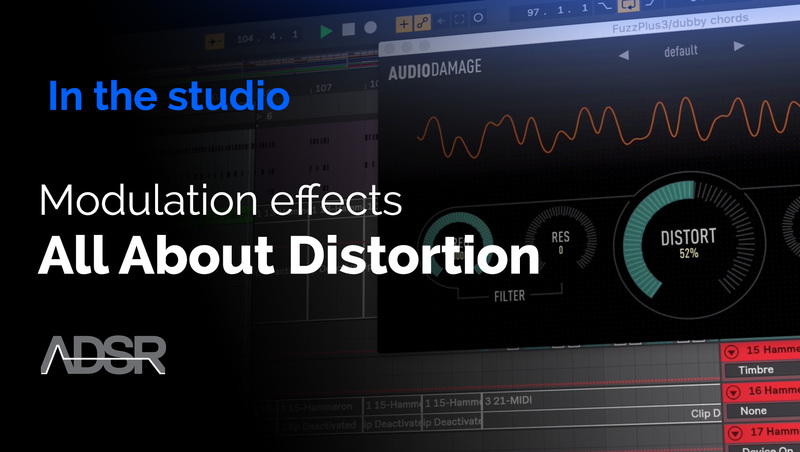 Distortion is one of the most destructive effects that we have at our disposal, with large amounts capable of totally transforming the shape of the sound and its output. It adds incredible amounts of energy through the addition of harmonics and drastically effecting the dynamic range of a signal. As a result correct use can allow a simple arrangement to sound big with a full frequency spectrum. Because it’s so powerful, distortion is most effective on monophonic sounds, though subtle amounts can also be useful on chords and textures. 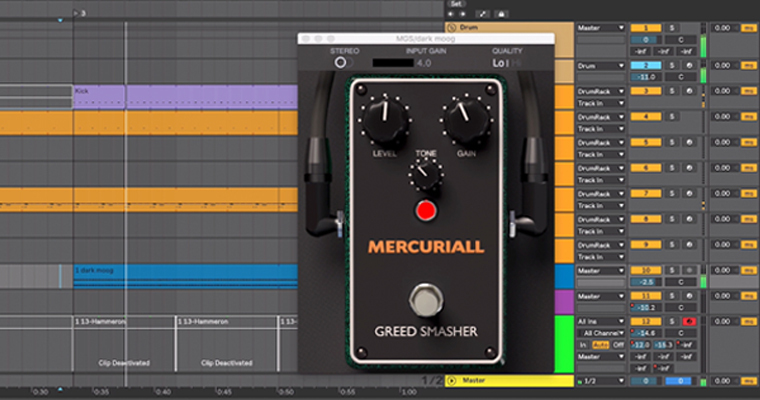 In this video we continue to look at uses of apply distortion in a mix. In the final video we look into 2 interconnected processes that occur in all the examples so far – clipping and waveshaping. These 2 processes are available in most of the devices we have looked at, but there are also devices dedicated to those 2 processes.